Non-test review classes on grammar, vocabulary and writing will ensure that you have a solid foundation for the exam. Skills and Strategies for each of the sections of the test are provided with clearly defined steps to improve performance on the test. 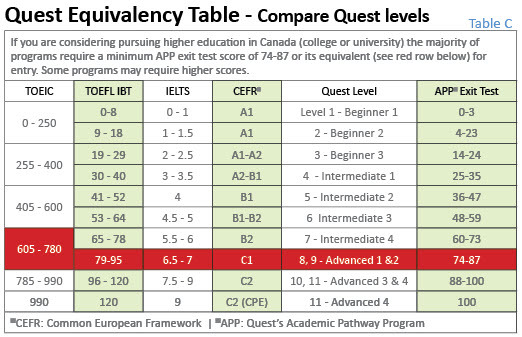 Complete Tests, in both paper and computer format for the TOEFL, will allow you the experience of taking actual exam tests with all of the sections together in one complete test. 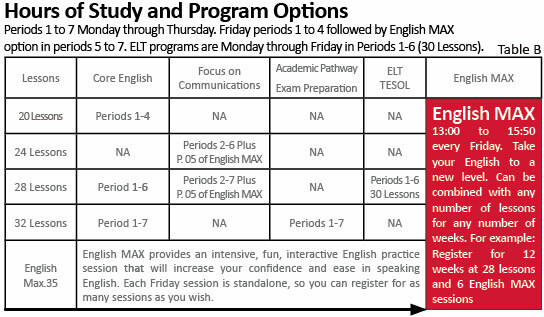 * TOEIC students have the option of taking Core English or Focus on Communication in the morning periods. 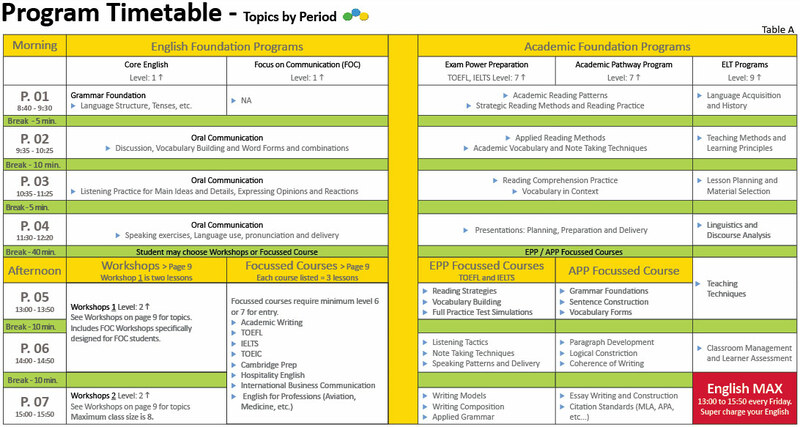 For more information on the TOEIC Focused Course see Focused Courses. Entry level: Level 7 (out of 11).